Both girls have artistic backgrounds (now careers) and helped create my programs, table cards, etc. 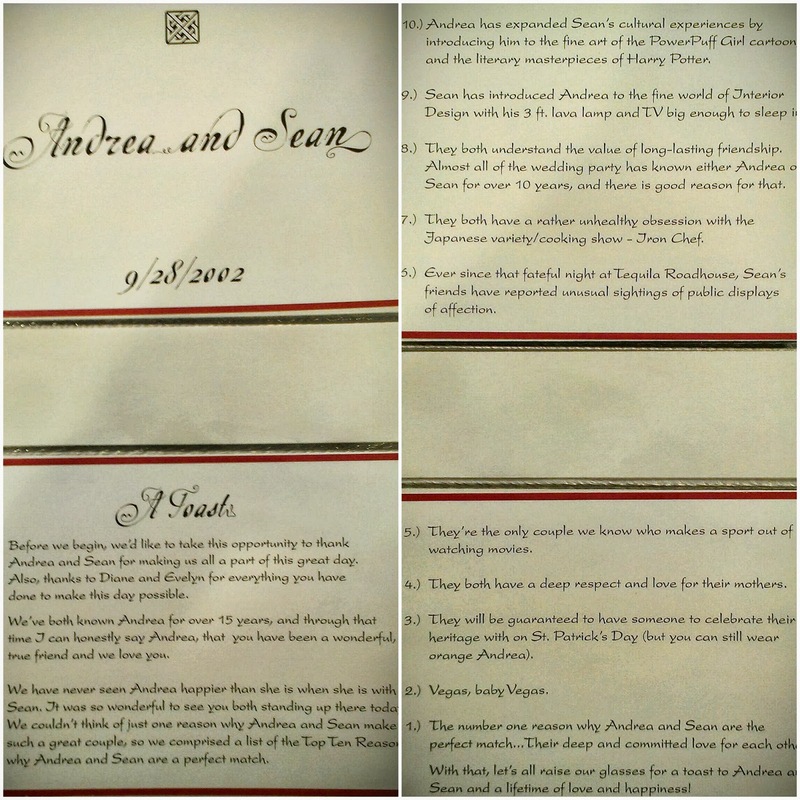 They printed out their toast on corresponding paper and gave it to me in a photo album of black and white pictures that they took over that weekend. Yeah. "Before we begin, we'd like to take this opportunity to thank Andrea and Sean for making us all a part of this great day. Also, thanks to Diane and Evelyn [our moms] for everything you have done to make this day possible. We've both known Andrea for over 15 years, and through that time we can honestly say that Andrea you've been a wonderful, true friend and we love you. We have never seen Andrea happier than she is when she is with Sean. It was so wonderful to see you both standing up there today. We couldn't think of just one reason why Andrea and Sean make such a great couple, so we comprised a list of the Top Ten Reasons why they are a perfect match. 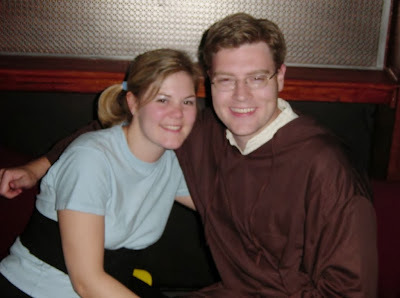 Funny enough, he proposed the night of this Halloween party (2001) when I was dressed as PowerPuff Girl Bubbles. We look like BABIES. On our first (of many) trips to Vegas, friends caught this moment at a VIP booth in the Hard Rock nightclub. He'd probably kill me for sharing this! 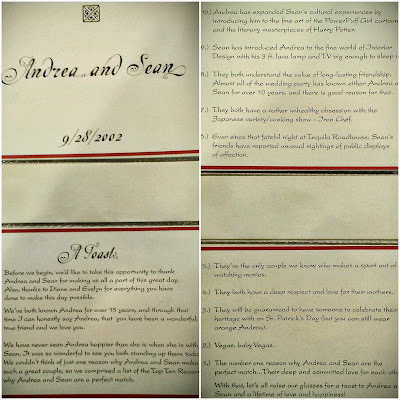 With that, let's all raise our glasses for a toast to Andrea and Sean and a lifetime of love and happiness!" 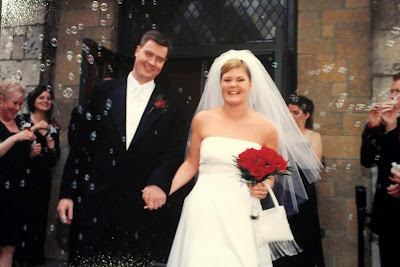 Happy anniversary honey, although you really don't read the blog. Maybe I'll just send you this one post.